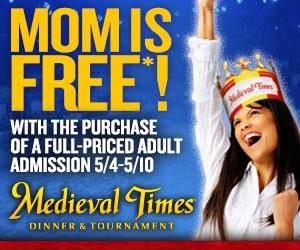 Medieval Times Dinner & Tournament – Maryland thinks all moms are special. That’s why Mom is free* for all shows from Monday, May 4, through Sunday, May 10, 2015, when accompanied by one full-paid adult admission. Mom’s choice of champagne, mimosa or cider in a souvenir champagne glass. * Moms should mention code: MOMWEB at the time of purchase. Not valid on prior purchases or gift certificates. 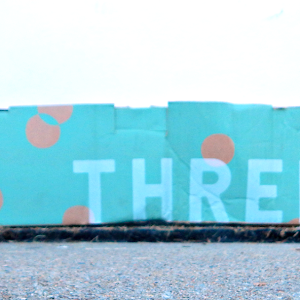 Cannot be combined with any other offer. Advance reservations and payment required.